Several pre-launches were made on AKVA group Software´s annual product forum in March. Fishtalk Control App for daily registrations was one of them. AKVA group Software wants to develop products that solve everyday problems, and therefore invites experts in the field - our software customers - to product forums on a regular basis to learn and to share experiences. "Our customers have first-hand knowledge of current issues in the industry. In order to deliver the best possible product, we need to know what our clients want and how we can solve their individual needs in a way that benefit as many clients as possible. This is why we invite all new and old clients to regular product forums," says Thomas Hoff, sales manager in AKVA group Software. 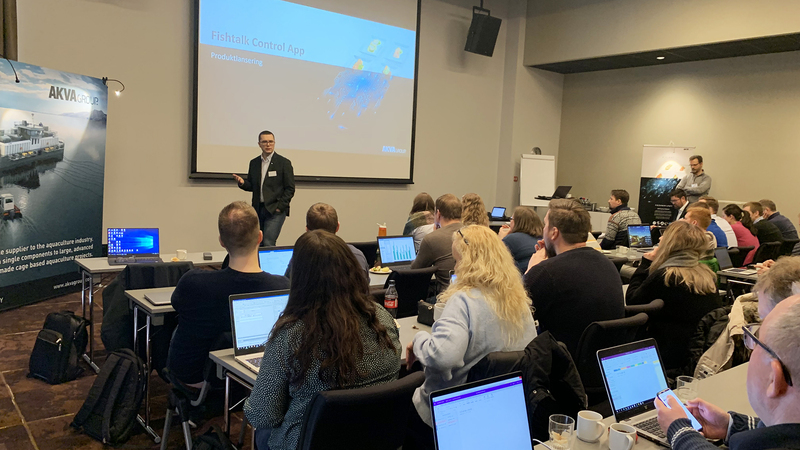 Several of AKVA group Software innovations stems from our annual product forums, and the new Fishtalk Control App is, among others, a direct consequence of last year´s meeting. The app enables daily registrations of frequent input such as lice, fish death, cleaning fish, environmental parameters and feeding. The app is developed together with several fish farmer - including AquaGen who participated and shared their experiences. "The app is designed to be intuitive to use with easy access to core functions. It has a flat structure, remembers previous records and utilizes the phone´s GPS functionality," Hoff says. Other news includes a cloud solution of Fishtalk with its own API and feed integration that enables integration with third-party systems. The API receives data such as average growth, mortality and environmental data - and make a foundation for a report called Feeding Insight. "It gives the fish farmer a solid foundation to make qualified decisions in feeding based on analysis and strategies - making the whole process more reliable and efficient," says Consultant and Product Owner Mette Erike Skogstad. And digitalization is becoming a vital part of the aquaculture industry. "Data and technology are changing the way we operate at Grieg Seafood. We use historical data, real-time data, data-driven prediction and simulation more and more. With big data analysis we see relations that we have not seen before," says Stein Halstensen, Planning Manager at Grieg Seafood. 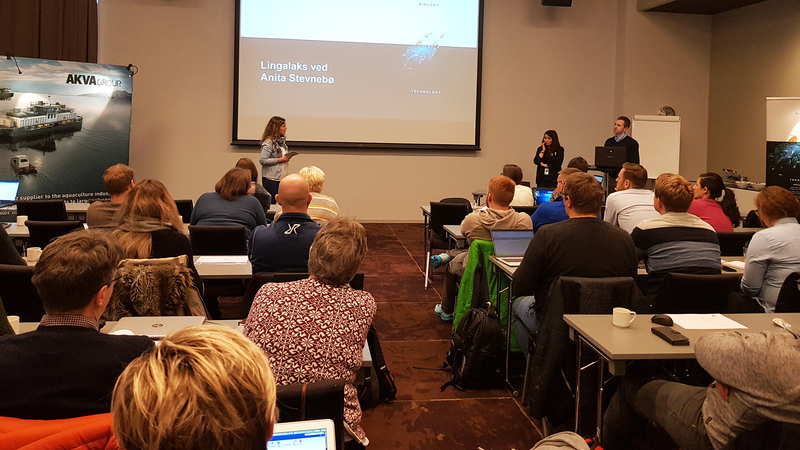 A new module of Fishtalk Optimizer was also presented at the product forum in Trondheim. This module - designed for deployment of smolt - is an optimization project with NTNU and Sintef as academic partners, and makes it easy to see available smolt batches and locations before deployment. The distribution is then optimized from batch to pen, which in turn will make production planning easier. "This module is a good implementation that simplifies planning and allows for several parameters. It makes budgeting easier, saves time and provides better utilization of MTB (maximum permitted biomass)," Hoff says. Lingalaks has now adopted the module in their production planning. "We spend less time on manual labour during planning, and it makes it easier to follow up our own production strategy with this module," says Anita Stevnebø, Biology Coordinator at Lingalaks. In addition, several additional modules were presented at the product forum at Quality Airport Hotel in Trondheim, March 25-26. AKVA group Software´s next product forum will be held the first week in March - week 10 - in 2020.